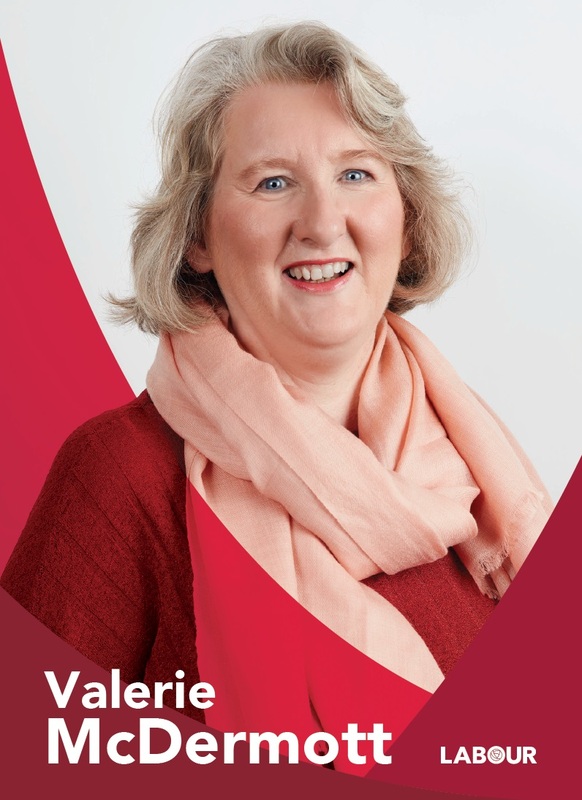 A Leaflet from Valerie McDermott who is running for Labour in Dun Laoghaire for a seat on Dun Laoghaire Rathdown County Council. 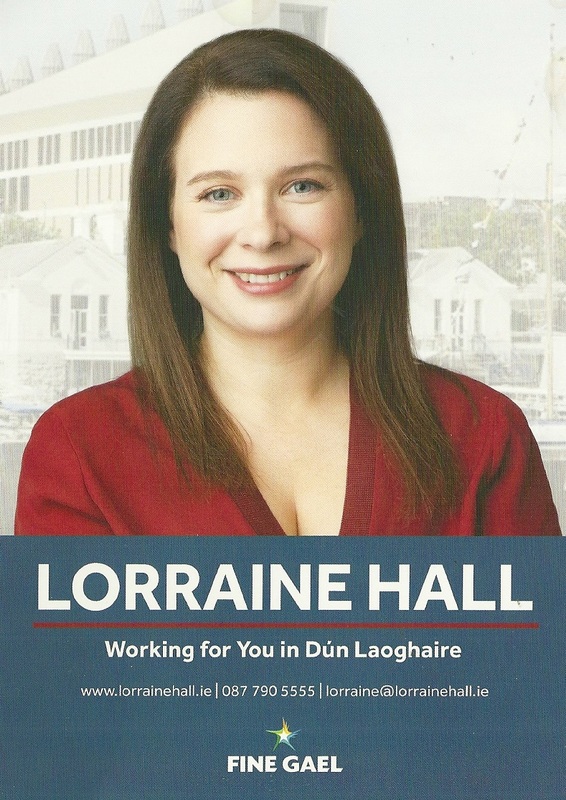 A leaflet from Lorraine Hall of Fine Gael who is running in the 2019 Local Elections in Dun Laoghaire. 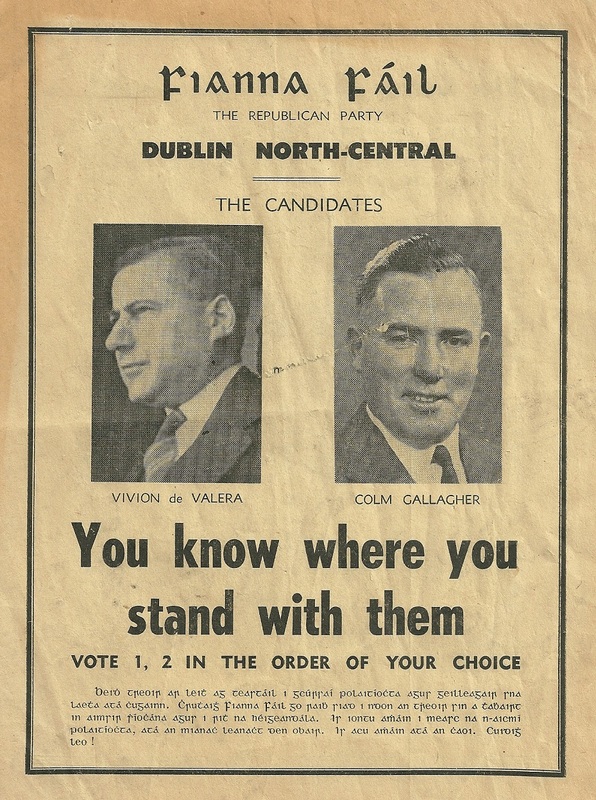 From the 1957 General Election a leaflet from Vivion De Valera and Colm Gallagher running for Fianna Fáil in Dublin North Central. 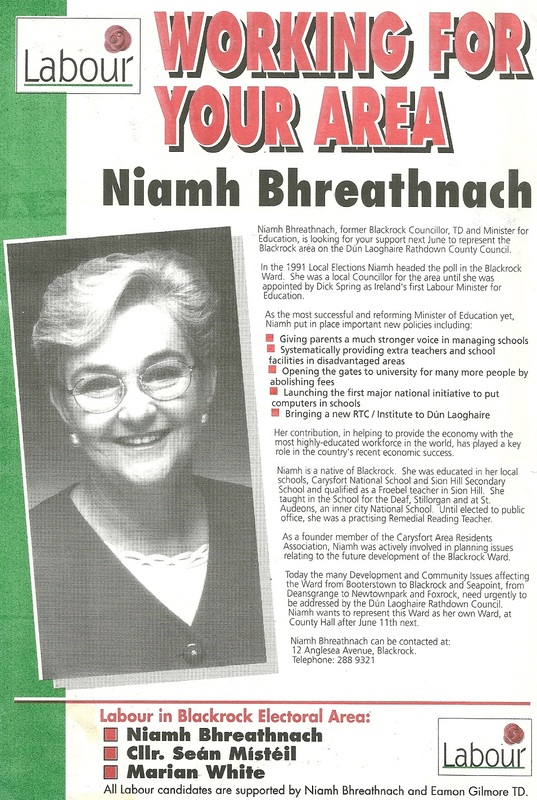 Both candidates were elected. 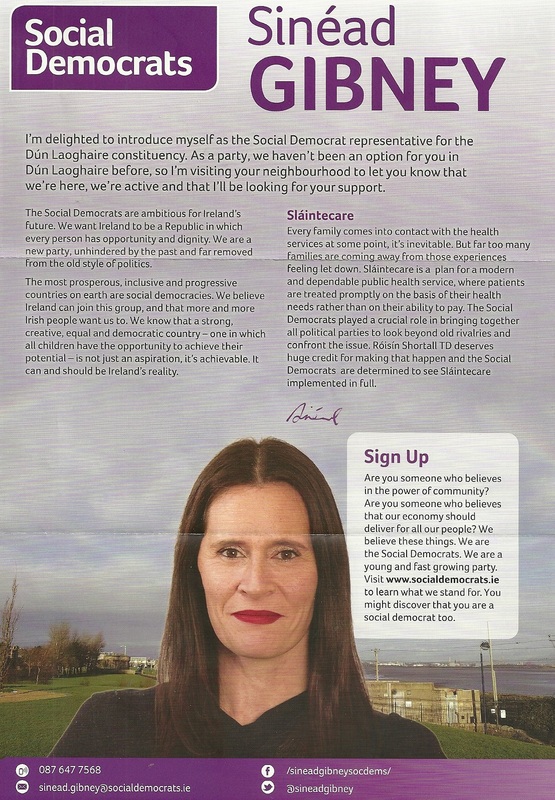 A leaflet from Sinéad Gibney of THe Social Democrats in Dun Laoghaire. 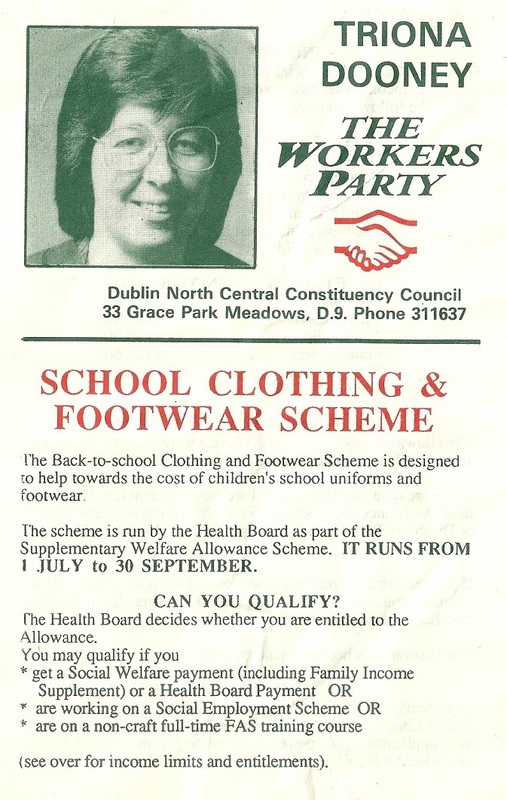 A leaflet from the Late Triona Dooney of the The Workers Party on the Back to School Clothing and Footwear Scheme. I think it’s from around 1990. 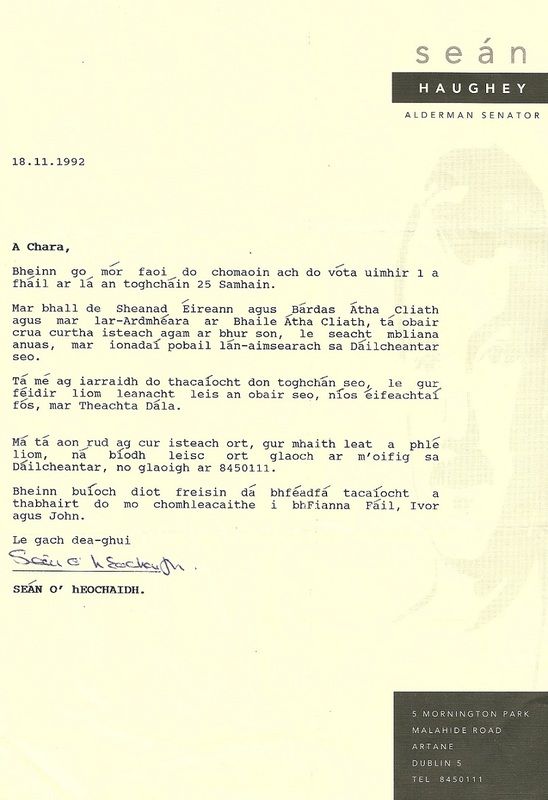 From the 1992 General Election a letter to voters in Irish from Sean Haughey of Fianna Fail running in Dublin North Central. He polled 8202 votes and was elected.